Birthday parties, anniversaries and other events sometimes bring out the most imaginative ideas when working to make a celebration memorable. Balloons are a traditional and common item, and they can be decorated easily if the right type of glue is used for the job. There are generally two types of balloons, foil and latex, used today. 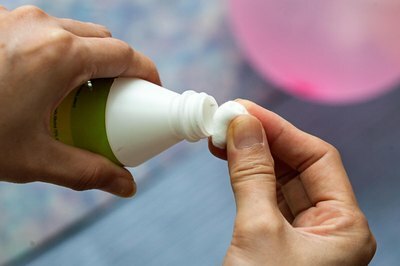 While some glues work well only on foil balloons, and others work well only on latex, there is one type of glue which is capable of serving your needs wonderfully for both types of balloons. Cleanse the surface of the balloon on which you will be applying glue, doing so by applying a small amount of isopropyl alcohol to a cotton ball and then wiping down the specific area. Prepare your cold glue gun and follow the product instructions when installing your glue stick into the device. 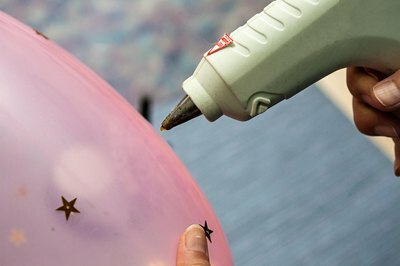 Set the items you will be gluing to the balloons within easy reach, because the glue will dry quickly after it is applied to the balloon surface. Apply a small amount of glue to the cleaned balloon surface and then immediately press the embellishment you are gluing firmly onto the newly glued surface. Apply light pressure for 10 to 15 seconds to permit the glue to set.